Students, alumni – and fans – have to be mighty proud to be associated with the University of Connecticut. After all, both its men’s and women’s basketball teams won national titles this week. 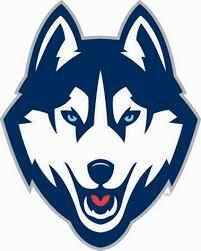 The UConn men defeated the Kentucky Wildcats 60-54 Monday night for the national championship. The UConn women hammered Notre Dame the following night for their national championship. Not only the men and women became the second tandem to win the national title in the same season, they were also the first tandem to do so in 2004. Both teams were impressive in different ways. The UConn men seemingly came out of nowhere in this tournament. The Huskies were the seventh seed in their region and were not even expected in some circles to win their opening game vs. St. Joseph’s. Keep in mind the UConn men got their asses kicked 81-48 to conclude the regular season. the American Athletic Conference was also devalued by the NCAA Selection Committee (Louisville was a 4-seed? Really???). Gotta give props to head coach Kevin Ollie for pushing the right buttons and the senior leadership of Shabazz Napier. Without those two, UConn would have fallen to St. Joseph’s in its first NCAA Tournament game. As for the UConn women, what else needs to be said? 40-0. An average victory margin of over 20 points in the NCAA Tournament. Oh, and the Lady Huskies slapped the dog piss out of the Fighting Irish in the national title game 79-58. Oh by the way, Notre Dame was undefeated coming into that game. And love him or hate him, head coach Geno Auriemma is the best in the business. His career coaching record is 879–133 (that’s an .868 winning percentage for those keeping score at home), and is not slowing down. It’s pretty much his program and everybody else in women’s college basketball. Since 1999, the UConn men won four national titles – and is undefeated in the title games. The UConn women won nine national titles, the most in the history of women’s basketball program. Jim Calhoun built UConn men’s basketball, and Ollie is keeping that train rolling. Auriemma is the standard in women’s basketball.